Read more from Crutchfield writer, Erin B. 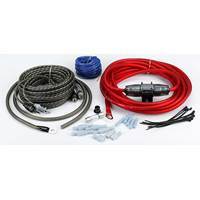 Written by Crutchfield's Erin B.
Rockford Fosgate's Connecting Punch CP8Pi 8-gauge amplifier wiring kit supplies everything you'll need to send power and signal to your amplifier. 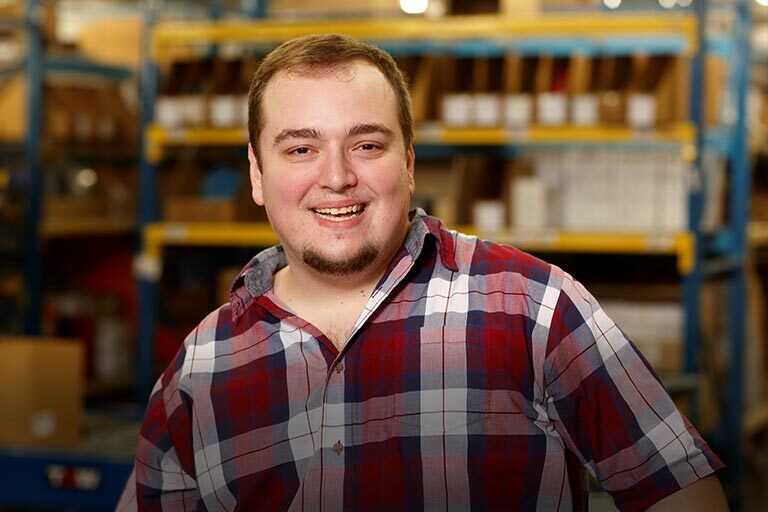 It's designed for an amp with a fuse rating of up to 40 amperes (amps). This wiring kit worked great with no problems to wire up my JL 500/1 amp. 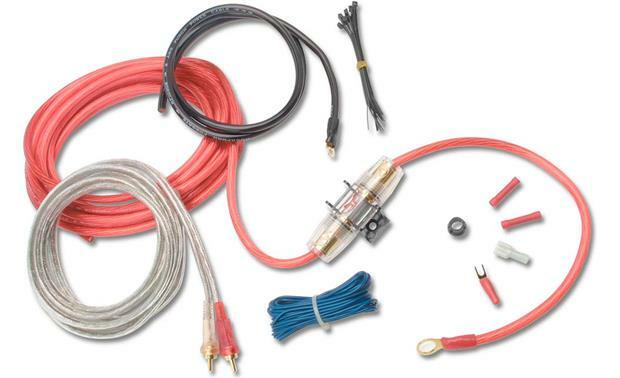 General Overview: This is a single amplifier wiring kit that includes the power and ground cables, patch cable, turn-on lead and accessories required to install one amplifier. Speaker wire is sold separately. Power High Performance Series Power/Ground Cable: The power and ground cable feature 735 strands of braided copper wire. The power wire has a red translucent jacket and the ground wire has a translucent black jacket. 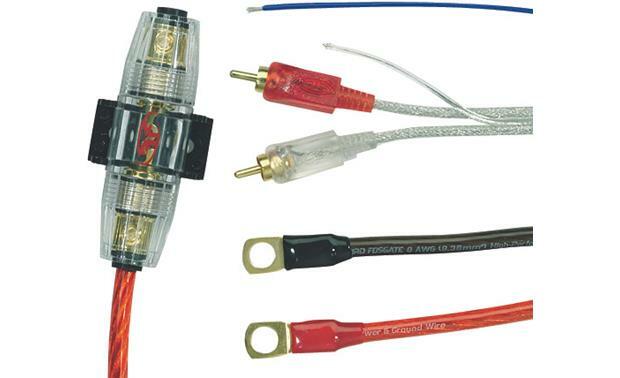 In-line Fuse Holder: The included in-line fuse holder attached to the power cable comes with a 40-amp AGU-type fuse. For mounting, the fuse holder snaps into the supplied mounting base, which has two mounting holes (mounting screws not supplied). The fuse holder has the following dimensions: L=3.248", W=1.538", H=1.196". Interconnect Cable: The supplied RF Twister interconnect cable uses spiral shield inter-conductors made of tinned, pure crystal, oxygen-free copper in a side-by-side configuration. It features a translucent clear virgin PVC outer jacket covering a tinned silver cosmetic over-braid with translucent virgin PVC molded connectors and gold-plated tips.